First, a little background. My children’s rooms were all painted when they were 10–12 years old. Everyone had their names on their walls, and each of the rooms were painted by me. We updated Ilyssa’s room and turned it into a nice space for adult guests. 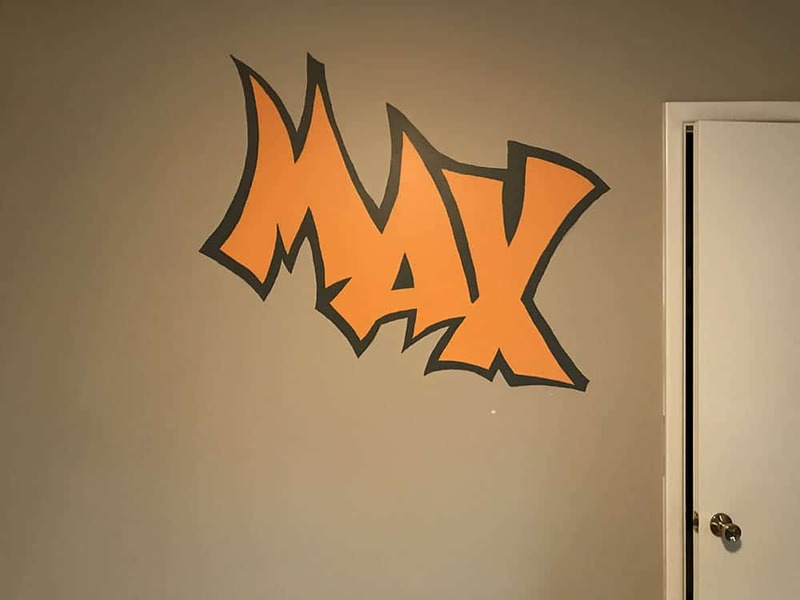 Now, Max is moving back home to go to law school, and we’re transitioning Max’s room from a little boys room to a grown-up room. He’s 25 and I doubt he wants to sleep in bunk beds! First step is to clean the room. Besides the bunk beds, the room was filled with storage items (mostly from when we redid Ilyssa’s room). 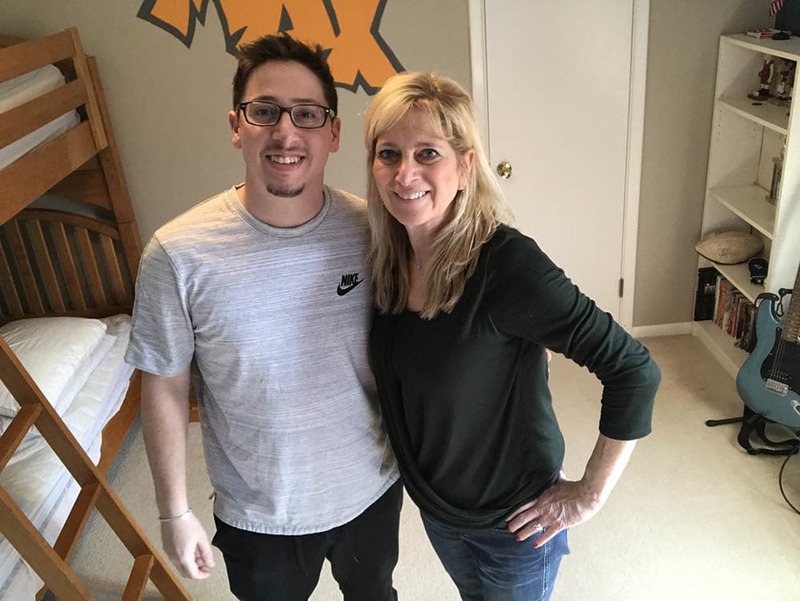 And of course, there was all of Max’s leftover childhood artifacts — a flag collection, sports trophies, favorite childhood books, and more. When we redid Ilyssa’s room, I got to pick the colors and style for everything. 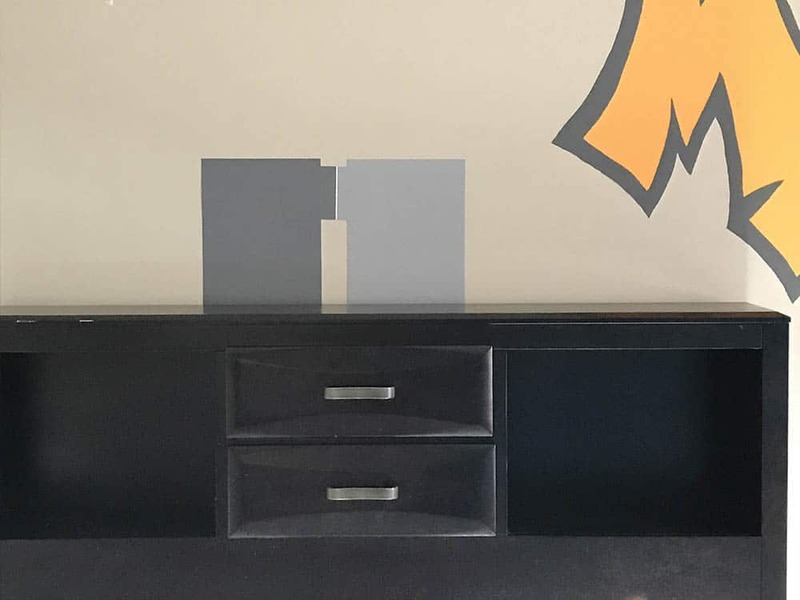 When we asked Max what color he wanted for the room, he said gray. Any accent colors? Nope, just gray. So, we decided to go with his gray comforter as a focal point. Not a lot to work with! But, off to Home Depot we went. Like most 20-somethings, Max loves electronics, so we was drawn to the electronic paint selection kiosk. After a few taps of the screen, Max picked his gray and he was ready to move on. Of course, I wanted to explore all different combinations and accent colors, but he was done! Very rarely do I paint all the walls of a room the same color, so I had to think of alternative ideas. A monochromatic scheme would let us layer using the same color — we’d still have the gray Max wants, but add some depth with two grays. Then, I can add color with accents. Actually, making the grays work was pretty easy. We picked two grays from the same stripe card, Liquid Mercury and Super Nova. So, we got our samples and painted the SureSwatches. 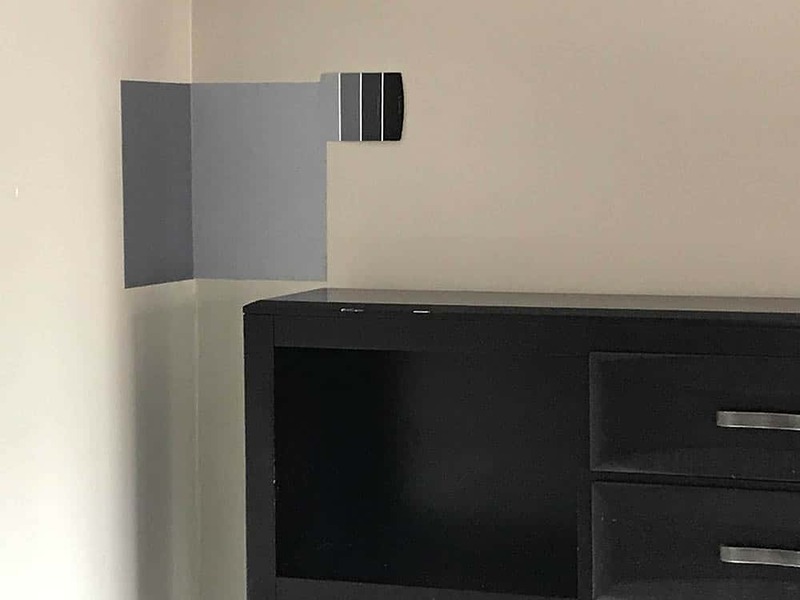 The light color (Super Nova) will go behind the bed and on the opposite wall, and the dark color (Liquid Mercury) will go on the adjacent walls.